What better place to discover a fresh new act or experience your very favourite than in the flesh at a music festival? There’s not a lot quite like watching music live- if they’re good performers that is. They could be the most naturally talented act out there but if they’re an average performer it might put you off them altogether. For example, I saw Alex Clare at Reading/Leeds last year and as good as his voice is, he simply paced up and down the Radio1/NME Stage for just over thirty minutes and thus made for something of a disappointing performance. From established rap stars to fresh indie talent, this is a comprehensive guide of the top ten acts to watch this summer. 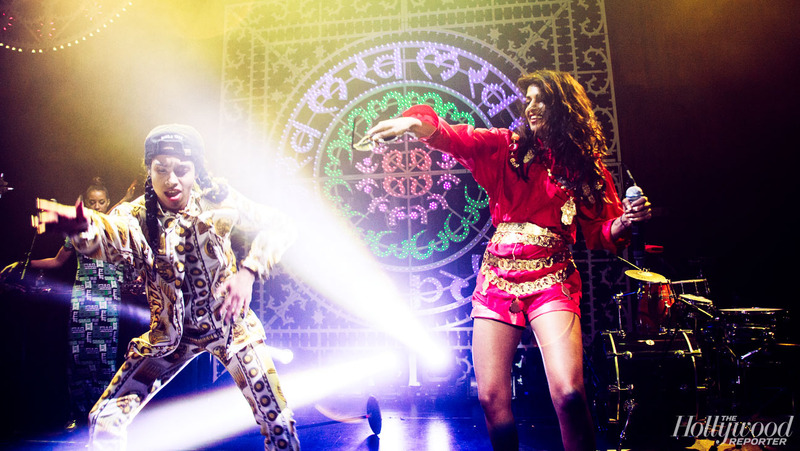 Following four critically acclaimed studio albums, the beautiful Brit M.I.A. is set to perform at two uk festivals this year. Her music is somewhat impossible to categorise with just about every genre being reinvented and being given the M.I.A. spin, she raps, she sings, she shouts, all the while over various Diplo, Rusko and Hit-Boy beats infused with reggae, hip-hop, dance and electro. Her performances are imaginative to say the least, expect triply visuals, eccentric colouring, exuberant on-stage antics and more from the recently departed Roc Nation artist. As you can see, Ms Eyre seems to be at near every festival worth going to this year, so odds are you can’t miss her, but who is she you may ask? Ella Eyre‘s probably most famous for her number one collaboration with Rudimental, Waiting All Night. With the blessing of a number one already under her belt, she isn’t ready to fade away behind the hype, she’s primed to cement her name as one the most exciting female talents ready to make their mark. She has an incredibly powerful voice that sucker punches you for such a petit girl, she also has a softer side in which her crisp vocals do the talking. One of the rap stars of tomorrow, Vic Mensa, recently released is debut mixtape – INNANETAPE to wide critical acclaim- and with due cause, he’s a great rapper with a lot of character and razor-sharp lyricism. Mensa recently had some significant airplay here in the UK with his latest single Down On My Luck, he’s also previously toured with the UK’s very own- Disclosure, and notably released an incredible freestyle to When A Fire Starts To Burn. 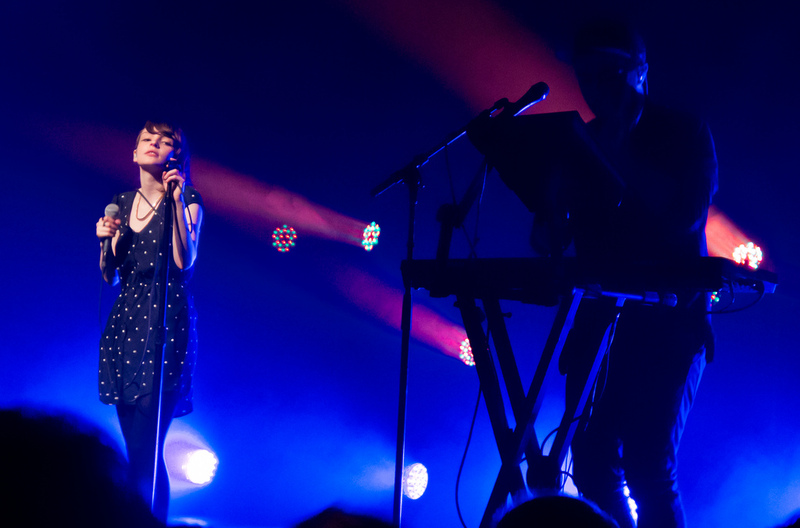 Scottish synth-pop trio CHVRCHES are more than cementing their stranglehold on the music scene with numerous appearances at the UK’s biggest festivals this year. Their music might not get the airtime it deserves, but in a way, this makes them all the more credible, to be able to have such a cult following without much mainstream success, shows just how impressive their music actually is. From the singalong Mother We Share, to the darker, more potent Tether, their music has so much range that their performances can only follow in sync. Lead singer Lauren Mayberry has such an incredible voice that she could probably perform a capella, that’s how innately talented she is. Having had the pleasure of seeing Imagine Dragons last year, they’re incredible performers. Not only is their music more than strong, it’s their energetic fire-filled sets that add that extra degree of excitement. For example, last year when performing their mega-hit Radioactive, they brought out a huge drum centre stage that was ‘shared’ by two of the band members, in which they pounded away during the middle-eight of the track, the crowd was being teased and teased, begging and gasping for the final ‘I’m waking up, I feel it in my bones’. Vance Joy has only one major release under his belt- Rip Tide, a ukelele-helmed summer joint that was featured on the Fifa 14 soundtrack, his musical stylings reminisce the likes of Jason Mraz with his chilled, laid back, summery outcomes. A performance from Vance Joy at Worthy Farm in the middle of the day with the sun beating down on you is the perfect way to compliment the festival as well as his musical style. Despite being around for quite a while, Pretty Lights’ career hasn’t quite taken off as of yet, he’s fairly respected across the pond but hasn’t really gained the recognition he deserves here in the UK. His own material is incredibly layered, and as such can appeal to a wide variety of electronic fans, but it’s his remixes that make him an exciting artist, take his remix of John Denver’s Country Roads, a very dated vocally driven tune your Grandparents probably know the words to, Pretty Lights completely revitalises it and breathes a fresh sound into it, reigniting it into a summery track, one that can also be enjoyed in a club. It’s hard to put your finger on just what type of music Twenty One Pilots create, comprised of the multi-talented frontman Tyler Joseph, with Josh Dun on the drums, they blend rap, rock, synth-pop, dance and pop together to create a sound that is simply impossible to emulate. Their music aside, it’s their live performances that sets them apart from the rest- they backflip off their piano, they share a huge drum in which they trade drumsticks while drumming with the other hand, they stage dive, it’s all there at a Twenty One Pilots performance. 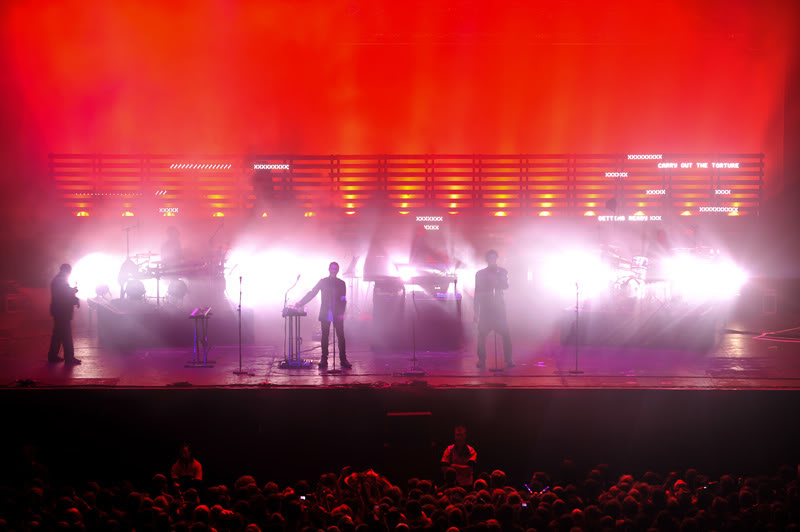 Local boys Massive Attack mark their return to Glastonbury with a sunday performance in 2014. Anyone who knows about the trip-hop duo will be aware of their involvement in every aspect of their performances, frontman Robert Del Naja otherwise known as 3D, is more than a musician, he’s a creative who puts his involvement beyond the performance. He designs the set’s backdrop and he oversees the entire lighting arrangement to make sure everything about the performance is as detailed and thought-about as the music they make. Thee elusive french artist Woodkid brings his darkly infused neofolk to London’s Victoria Park. His music is as layered and progressive as they come, often incorporating heavy rhythmic drumming into most of his tracks. Woodkid gained a fair degree of publicity with his track Run Boy Run which was used on various o2 adverts among others. This track is indicative of his musical stylings, often using brass or violins to accompany his velvety vocals. Well worth a watch.